Janu-worry? We’ve got you covered. 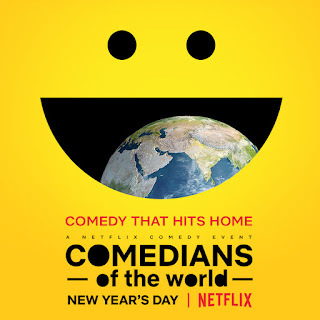 COMEDIANS of the world is coming to Netflix on January 1, 2019, so there’s no excuse needed to stay indoors and get too comfortable with the international language of laughter. The show, a global first of its kind, will bring together 47 comedians from 13 regions in 8 languages in an unprecedented stand-up comedy event series. The groundbreaking series will feature a range of stand-up specials from comedians diverse in style, gender and ethnicity, taped in eight languages from around the world. All episodes will drop in one go - so get ready to start the new year off with a laugh!